As is customary, several commentators have offered assessments of President Trump’s first year in office. These appraisals have varied, and I encourage you to “Google” and review several for yourself. Most of these evaluations have been offered by political elites, but since Trump’s appeal is a populist one, it’s important that average voters make their own assessments of his first year, and I invite you to do just that. These are the rules of participation. First, your appraisal must employ at least one of the assessment tools discussed below. Second, your review should be 250 words or less, and third, you agree that I may use all, or parts, of your review (including your name) in a future column. Appraisals, along with your conTact information, should be emailed to evalTrumpyr1@gmail.com no later than January 23, 2018. To guide your efforts, below are three analytical perspectives employed by scholars to determine presidential effectiveness. Recall that our system of separation of powers was designed to make it difficult for any one branch to do much on its own. Therefore, to achieve their policy goals, presidents must carefully navigate our Constitutional system of fragmented power. In my beginning American Government course, students are introduced to ways that scholars try to objectively evaluate how well presidents are able to move their agendas. What I refer to as “the debate between the two Richards” is a helpful starting point. 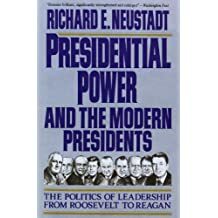 In his classic book, Presidential Power, Richard Neustadt argued that a president’s sole power is that of persuasion. Translating campaign promises into policy achievements requires presidents to get Congress, bureaucrats, interest groups, courts, and/or the public, to go along with them. Neustadt also notes that persuasion is strengthened with a clear electoral victory, and the larger the vote margin, the more persuasive a president can expect to be. More successful presidents also bring the nation together with inspiring rhetoric and action. How well has President Trump used the power of persuasion? 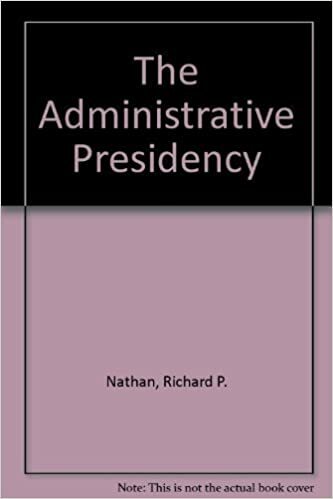 On the other hand, scholar Richard Nathan has argued that besides persuasion, presidents have other tools that can be used to advance their agendas, including the powers of executive appointments and executive orders. How do you think the president has wielded these tools? To aid your analysis, here are two nonpartisan sources of data. Appointments: https://ourpublicservice.org/issues/presidential-transition/political-appointee-tracker.php. Executive orders: http://www.presidency.ucsb.edu/data/orders.php. 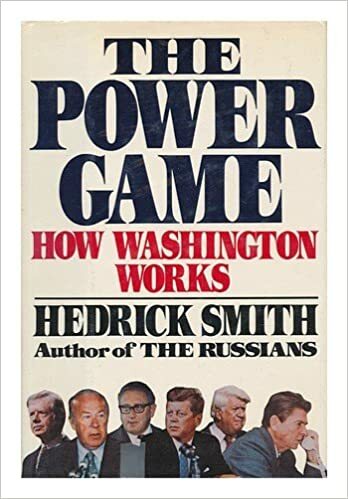 Finally, noted journalist Headrick Smith has argued that successful presidents are those who a) keep their agendas focused and simple, rather than sprawling, b) are able to build coalitions among opposing interests, while keeping their base of support intact, and c) are able to create and maintain a positive public image. How would you rate Trump on these three aspects of effective leadership? Are you thinking like a political scientist now? I look forward to reading your reviews, and including some of your opinions from across the spectrum in a future column. ​In 1887, Woodrow Wilson penned a famous essay calling for a new effort devoted to making American government more effective in its day-to-day administration. Modernity, immigration, and technological advancement had caused the pace of change in society and the economy to quicken rapidly, and Wilson argued these developments had overtaken government’s ability to perform its constitutional duties of promoting the general welfare and providing for domestic tranquility. In his words “it [was] getting harder to run a Constitution than to frame one.” Against the backdrop of unprecedented graft and corruption at all levels of government, he called for making its administrative affairs “less unbusinesslike” and more proficient. Thus emerged the development and acceptance of the idea that the expertise of administrative professionals in bureaucratic agencies is essential to the functioning of democratic governance. As we watch the formation of the Trump administration, it’s important to remember bureaucracy’s democratic constitutional role, particularly in light of signals from the Trump team that he and his advisers possess hostility and scorn for some of our federal agencies and employees. Examples of this antipathy include 1) appointing Rick Perry to head the Energy Department that he once claimed should be eliminated, 2) appointing Ben Carson to oversee HUD, though he has no professional experience in housing policy, 3) the implied threat of identifying all scientists at the EPA who have been involved in climate change research, and 4) similarly singling out those at Homeland Security and the State Department who’ve been working on anti-extremism programs. ​These actions acknowledge, but potentially undermine, the way in which bureaucrats and agencies help define who we are and what it means to live in a diverse democratic society. Three characteristics help illustrate this point. First, bureaucracy is perhaps the most representative institution in our political system, certainly much more so than Congress, which is still primarily the domain of white males. Simply, bureaucracy “looks” more like America. Second, agencies, like the EPA, embody our existing policies on how to respond to communal challenges. They therefore should be expected to defend their current programs, at least to some degree, from radical encroachment, especially when fundamental rights are at stake, or when minority interests are threatened. Finally, many bureaucrats are professional experts in their fields–scientists, engineers, educators, lawyers, doctors, data analysts, etc.—who we rely on to help us figure out how to make the general statutes passed by Congress operational. ​Demeaning, devaluing, and demoralizing federal agencies and their employees is not what Wilson meant by running our constitution in a “less unbusinesslike” fashion. Protecting our environment, assuring the safety of the drugs we take, our nation’s water supply and our workplaces, safeguarding our national parks, promoting cutting-edge scientific research, and upholding civil rights laws are just a few examples of how our civil servants help constitute the meaning of democracy in America regardless of who occupies the Oval Office. Efforts to undermine this vital role should concern us all. The framers’ fundamental distrust of democracy was undergirded by a long philosophical tradition warning of democracy’s inherent dangers like majority tyranny, and the fact that democratic governments are prone to instability and failure. As John Adams baldly put it, “There is never a democracy that did not commit suicide.” Taking these learned insights and warnings to heart, our constitution writers created a system in which consent of the people is needed to form a government, but in which popular control of governing and policymaking is largely removed and insulated from the people’s frequently over-heated passions. ​In various ways, though, America has continued to lurch toward a much more democratic political system than the framers imagined. Direct election of U.S. Senators, massive expansion of voting rights, and adoptions at the state and local level of direct democracy mechanisms like the initiative and referendum, have combined to not only bring the people closer to governing decisions, but have also raised expectations about what government can and should do. Standing in the way of these enhanced expectations, however, remain the structural barriers to full-throated democracy that are set forth in the Constitution, e.g., separation of powers, the Electoral College, and a bicameral legislature. Add to these design factors the emergence, and oft-deleterious influence, of political parties and interest groups (“factions” in the words of Madison), and we are left with a government that is much more paralyzed than even the framers probably would have preferred. For some time now the people have latched their democratic aspirations to the Presidency. “Hope and/or change” have been consistent themes in modern presidential elections. But, while executive power has expanded tremendously over time, our President is not a monarch and “hope and change” frequently are dashed on the rocks of our republic’s inertial design of checks and balances. ​The framers were mostly pessimistic about our ability to overcome ourselves; if humans were angels there would be no need for government, they believed. Historical evidence on this, however, is actually better. Despite the above-noted challenges, our political history has been a steady “three steps forward, two steps backward” march toward a more inclusive and just society, with government policies adopted to meet our seemingly intractable challenges along the way. Keeping the republic requires that we continue putting our shoulders to the never-ending task of creating a more perfect union. The 2016 presidential election was highly unusual, the outcome stunned many Americans (including experts), and the results will reverberate for quite some time. Two observations here: A. the outcome boils down to 5 key factors, and B. the swing-state polls were technically correct. A. Five keys to Trump’s “surprising” victory (there are other factors, for sure). Soft Polling on Trump. Due to the social stigma and embarrassment that came with admitting support for Trump, it is highly likely that pollsters did not capture the full extent of his support. Additionally, polls can’t easily measure “intensity” of support either (and usually don’t try). Trump supporters were more intensely supportive of him than Hillary’s supporters were of her. Enthusiasm Gap. The Obama Coalition just did not come out for Hillary. Trump brought millions of previously-inactivated voters into the process who were highly enthusiastic. Evidence for this can be seen in the throngs of people who attended his rallies. 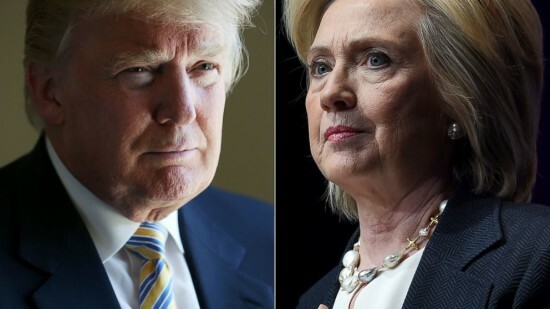 Exit Poll Data Concerning Voters Who Highly Disliked Both Candidates: For the most part, I will leave the digging through exit poll data to others. However, one fact that sticks out here is that 1 in 5 voters highly disliked both candidates, and they broke 2 to 1 for Trump which undoubtedly helped him at the margins in close counties/states. Trump’s Over performance Among Rural, White Voters v. Hillary’s Under Performance in Urban Areas. Trump had huge margins (often greater than 30%) across a massive swath of rural America while Hillary could not match those margins in most urban areas. James Comey’s Letter to Congress 10 Days Prior to the Election: This unprecedented action clearly slowed Hillary’s momentum while Trump simultaneously became a much more disciplined candidate. B. In spite of the oft-repeated question of “How could the polls have gotten this so wrong?” the fact is that the all-important swing-state polls were actually (technically) correct. Let’s look at some data. The table below shows the 16 swing states, the final pre-election projection average for the “expected” winner, and the outcome. As can be seen, in every case except Wisconsin, the outcome was either within the margin of error (3-4%), or was not different from the projection even though the final margin was larger than predicted. The outlier—Wisconsin—is probably due to a state-wide campaign blitz by Paul Ryan, Scott Walker, and Mike Pence in the final weekend, and the massive margins in rural areas produced by Trump supporters. In the three states that were outside the margin of error, but in which the outcome was not flipped–Iowa, Missouri, and Ohio–the electorate’s demographic is much more closely aligned with the primary Trump coalition–older, white, rural and blue-collar. Given Trump’s over-performance among this cohort, it is not surprising that these states beat the pre-election projections on totals, but not outcome. This past August, a conservative federal appeals court ruled that Texas’ voter ID law violated Section 2 of the Voting Rights Act (VRA) by undermining minority access to the ballot box. This decision is a significant marker in the debate over whether everyone truly has a voice in the political process. Reasonable steps are needed to advance and protect the universal promise of democracy, and making it easier to vote is one of them. Since 2002, however, several states have moved in the opposite direction by passing new voter ID laws making voting more difficult for many of our fellow citizens. The justification usually offered for stricter voter ID laws is to prevent fraud. Yet in its 2014 sweeping report to Congress, the nonpartisan Government Accountability Office found very little evidence of fraud in the numerous studies reviewed. Indeed, the most extensive effort to identify in-person voter fraud ever conducted (by Justin Levitt of Loyola Law School, Los Angeles) found just 31 instances of fraud in over a billion votes cast! It’s no surprise then that many have called the claims of alleged fraud “fraudulent,” yet conservative state legislatures keep ratcheting up the voting restrictions. Now, Texas has been slapped hard on the wrist for doing so. The ruling may seem confusing since it was only two years ago that the Supreme Court effectively gutted much of the VRA by striking down Section 4. That section contained the formula for determining which jurisdictions needed to have changes to their election procedures pre-approved by the feds before being implemented. ​Since its passage in 1965, Section 2 has applied to all U.S. jurisdictions, not just the egregiously discriminatory ones which were singled out under Section 4. It specifically prohibits voting practices or procedures that discriminate on the basis of race, color, or membership in one of the VRA’s listed minorities. In 1980, though, the Supreme Court ruled that to win a Section 2 challenge, plaintiffs had to prove an intent to discriminate was behind any change to voting procedures—a high burden of proof. Believing this ruling undermined Section 2’s original purpose, in 1982 Congress legislated that all a plaintiff needed to demonstrate was that a jurisdiction’s voting procedures resulted, regardless of intent, in denying equal opportunities to political participation. The recent Texas law made voting extremely difficult for many citizens who had been regular voters for countless elections by requiring them to show a new state-issued-only photo ID which they’d been unable to obtain. Thus, the appeals court declared the law illegal because it resulted in these voters’ disenfranchisement in the 2014 elections. ​This most recent decision, especially by a conservative court, underscores the continuing relevance of the VRA. It suggests that what Congress previously did for Section 2 it should now do for Section 4. Legislation titled the “Voting Rights Advancement Act” modernizing Section 4’s formula has been introduced in Congress to protect our right to vote—the fundamental basis of democracy. It should be passed with deliberate speed. ​During a recent teaching assignment in Shanghai, China, the view from my apartment was obscured by smog. Lots of smog. That noxious haze had me pondering a recent report published by the Competitive Enterprise Institute (CEI) complaining that government regulations are “America’s hidden tax.” By their questionable estimate, complying with federal regulations last year amounted to a $1.88 trillion cost in higher prices and lower paychecks. They also protest, without explanation, that of the thousands of new rules issued in 2014 less than 1 percent was subjected to government-mandated cost-benefit calculations. They call for fewer regulations and a law requiring Congressional approval of “major rules” before they’re binding. The effect, they argue, would be a shot of adrenaline to the economy. The soupy-brown horizon outside my window, however, is an ugly testament to the enormous health, safety, and welfare costs of inadequate, or nonexistent, regulations, and the tremendous benefits that accrue from prudent government rulemaking. ​CEI’s report further recommends an expiration period of five years for new rules, and a commission to comb through the Code of Federal Regulations to eliminate harmful, or outdated, provisions. Everyone agrees that reducing obsolete and injurious rules are worthy goals, but aside from cutting regulations, the report’s other three suggestions appear to be new ideas for reform. A closer examination reveals two of them are not new and have already been implemented. The other one is probably unwise. ​First, semantics matter. The term “major rule” means any rule with an estimated economic impact of $100 million or more. Only major rules must undergo cost-benefit analysis. This is the omitted explanation for the report’s lament about the low percentage of 2014 rules undergoing this analysis. CEI’s report says absolutely nothing about benefits for the remaining 99 percent of rules, only alleged costs. Second, Congress’ ability to overturn egregious rules already exists. It was used, famously, to overturn proposed rules on ergonomics in the workplace several years ago. Third, the idea of scrutinizing existing regulations for outdated and harmful ones was implemented by President Obama in 2011. Future Presidents can, and should, continue to require agencies to perform this important function. Finally, the new proposal for a 5-year expiration requirement would not only sweep away bad rules, but good ones too. Such a dragnet authority would undermine effective governance and business’s own oft-stated need for consistency in the federal code. ​The Office of Management and Budget oversees agency rulemaking and most independent observers believe it does a credible job. Its 2014 report showed total estimated benefits of major rules between $217 and $863 billion and total estimated costs between $57 and $84 billion for the period 2003-2013. These less-biased estimates demonstrate that the net benefits are immense. Health problems from second-hand smoke, scandalous wall-street bank shenanigans, and the polluted view outside my Shanghai window exemplify the true costs of too few regulations. Rather than a one-sided rant against “costly rules,” a more balanced assessment that considers both costs and benefits better serves the public’s interest. So, this was my third time to Shanghai. The first visit was nearly 13 years ago now–a whirlwind 4.5 day trip to present an invited talk at the 5th Annual Yangtze Development Forum in 2002. The second was a decade ago as part of a Freeman Foundation-funded trip with my colleagues in the Political Science Department at Wittenberg University. Each time I have been struck profoundly by the contrasts apparent on a daily basis between traditional and modern China. But, with a decade elapsing since my last visit, the degree of evident change is staggering, and was immediately apparent to me within the first few days of my arrival. As Evan Osnos relates in his excellent book Age of Ambition, China’s last 15 years have seen an enormous unleashing of individual capitalist fervor, and the concomitant emergence of what has come to be called the Chinese Dream. This can best be described as a kind of frenetic version of the American Dream characterized by a sense of desperate striving on the part of the younger generation of Chinese who hope to achieve a significant measure of economic success all the while fearful that their freedom to strive is merely quixotic and could vanish as quickly as it emerged. In a remarkably frank conversation with one of my students, I suggested that her peers in the United States, the millennial generation, were concerned about a work-life balance that tipped the scale of priority toward life rather than work. Choosing less remunerative jobs and professions in order to achieve a higher quality of life and leisure was a common value among American millennials today. After considering the implications of that suggestion, she frowned deeply, shook her head, and said quite emphatically, but clearly sadly, that all her peers cared about was achieving a high level of financial success, intimating in the way she chose her words that this was not necessarily something she liked, but to which she had become resigned. In another revealing conversation, a well-traveled, highly-educated young woman in her ‘30s, referred to her generation (born in the 1980s) as “The Lucky Generation” and to her parents’ generation (born in the 1950s) as “The Unlucky Generation.” For her, her husband, and many of their peers, there has never been anything but opportunity and a seeming boundless ability to explore the world unrestrained. This sense of mobility was instilled in her at an early age when she was one of very few Chinese children to receive a visa to participate in a middle school educational exchange program in the United States in the 1990s. Very shortly after that, the Chinese government opened up the visa program for those trying to study abroad so much that close to a 98% approval rate was experienced in the early 2000s. As she sees it, there has been nothing that she has not been able to do, while her parents, who got caught up in the Cultural Revolution have memories of going hungry and jobless for months at time. As the Chinese government abandons its 1-child policy, and its economy slows down, I can’t help but wonder how these Chinese Dreamers will fare in the months and years to come. 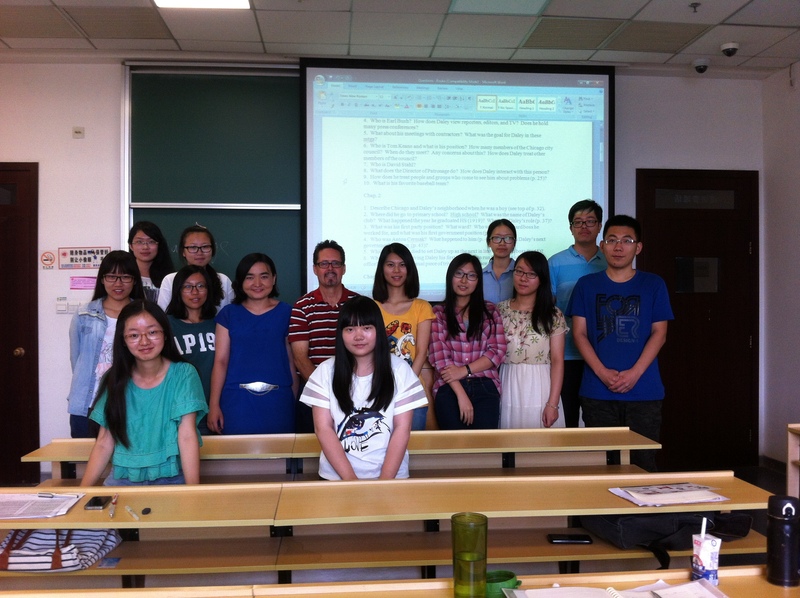 As for my students, I wish them well.